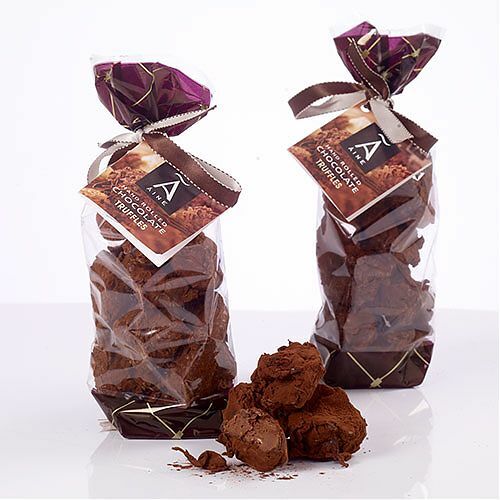 Another gold medal winner from Aine's at the world famous Great Taste Awards - the fine food 'Oscars' - delightfully dark truffles with a hint of champagne smother in dark chocolate and hand rolled in cocoa powder. Dark. Deviant. Delicious.